Pātai? The answer to some of our frequently asked questions are below. My balance doesn’t seem right – why isn’t it showing all of my payments? How can I check my Whai Rawa account balance? You can check your account balance and transactions by contacting us; your balance can be confirmed over the phone and/or a full list of transactions sent to you. You also have the ability to log in to your Whai Rawa account using your account number and the four-digit pin assigned to you when you opened your account. If you have forgotten your pin, get in touch. Whai Rawa will also send you a six monthly statement summarising account activity for that period. Both earnings and payments from Te Rūnanga o Ngāi Tahu are subject to tax and it is important to supply the correct tax information to Whai Rawa either at joining or when we request it from you. Find out more here. Will I earn interest on my account balance? No – Whai Rawa is a managed investment scheme – it is not a bank account and WRFL is not a registered bank. Whai Rawa is currently invested in Mercer Investment Trusts New Zealand’s Conservative Fund. Any investment returns on your Whai Rawa account are calculated based on your daily balance and added to your account quarterly, with PIE tax deducted at the end of the tax year (31 March). For more information on the risks of investing click here. Why do I have third party payments showing on my account? Payments are allocated to member accounts based on the six-digit reference member along with the bank account name details of the payer. Any payment from an account whose account name does not directly match the name of the member will be treated as a third-party contribution. These will normally be payments from whānau members. Member contributions and third-party contributions will both qualify for Matched Savings. Why do I have multiple PIE tax deductions showing on the same day? Because each member account has a number of sub-accounts and PIE tax is deducted from each account separately. I'm currently overseas. Can I still withdraw my Whai Rawa funds while I'm away? Yes Whai Rawa is accessible to whānau anywhere in the world. Can I withdraw my funds for home ownership if I've previously owned a property? Whānau who have previously owned their own home may still – in some cases – be able to withdraw their funds from Whai Rawa. Get in touch with us to find out if this applies to you. What can I withdraw my funds for? You can also withdraw in certain special circumstances (normally serious hardship or illness). More information is available here. There are a number of different organisations who are involved with the day to day running of Whai Rawa. The main regulator of Whai Rawa in New Zealand is the Financial Markets Authority. Whai Rawa Fund Limited (WRFL), a limited liability company, was appointed by Te Rūnanga o Ngāi Tahu Limited through The Office of Te Rūnanga to manage the Whai Rawa Unit Trust. Trustees Executors Limited supervises WRFL’s management of the Whai Rawa Unit Trust. See more information here. What are Matched Savings and Distributions? Matched Savings are designed to encourage members of Whai Rawa to save their own money by providing an incentive of ‘matching’ the amount members save, (to a maximum) with money from Te Rūnanga. Each year Te Rūnanga will determine the amount of matched saving available to members for the next year. Te Rūnanga sets a provisional budget for distributions within the Whai Rawa budget each year as part of the overall Te Rūnanga budget. Matched Savings (if any) are paid out of the Te Rūnanga budget first, with the balance being divided up for a Distribution for all eligible members. Matched Savings and Distributions are available to all eligible members under 65. Those aged 65 and older as at the end of the relevant calendar year currently receive Kaumātua Grants outside the scheme rather than Whai Rawa distributions. Your Whai Rawa funds are invested in Mercer Investment Trusts New Zealand’s Conservative Fund which is a conservative investment. Generally, investing in a conservative investment means you are willing to take on some moderate ups and downs in value and are seeking average long-term returns, a bit higher than in a defensive fund but most likely not as high as in a growth fund. Some of the things that may cause the Fund’s value to move and down, which affect the risk indicator are investment risk, interest rate risk and inflation risk. You can view a current Risk Indicator for the Scheme in our Product Disclosure Statement. As with any savings scheme, there will be costs incurred for managing Whai Rawa. These include Manager’s and Administration Manager’s fees; Trustee fees; Expenses of the Trust/Other fees. Te Rūnanga has agreed to pay all the fees and expenses of Whai Rawa Fund Limited (WRFL) (acting in its capacity as Manager of the Whai Rawa Unit Trust) on an on-going basis while WRFL remains as the Manager of the Whai Rawa Unit Trust. In the future, Te Rūnanga may decide to reduce the amount it pays towards fees and costs, or decide not to pay them at all. Any fees or costs not paid by Te Rūnanga or any other third party will be met by the Whai Rawa Unit Trust and charged to Members’ accounts. Specific costs connected to fund management services for the Whai Rawa Unit Trust are charged to the Scheme and thereby funded by members. See more information here. I can't start saving yet, should I open an account anyway? Yes. 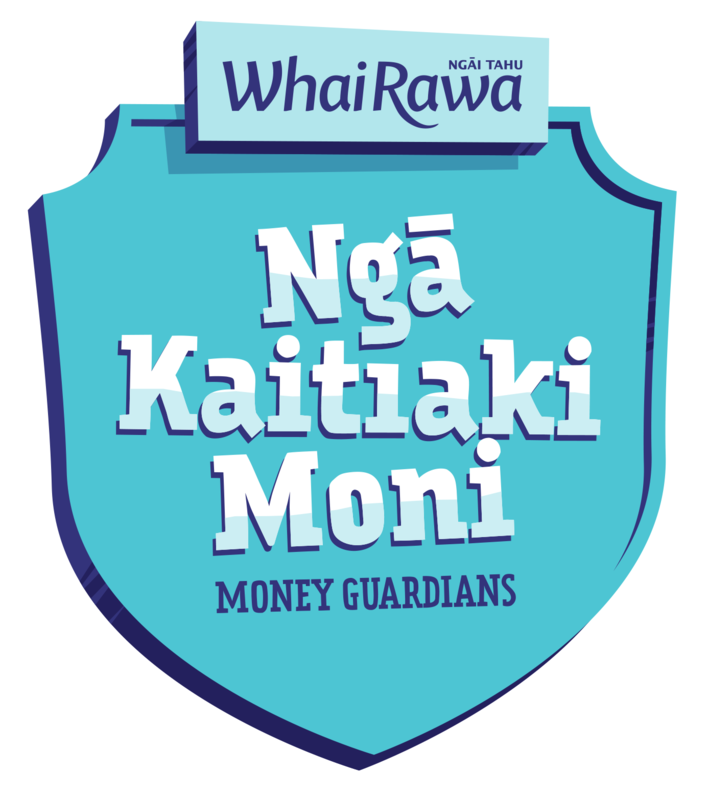 By opening an account (even if you’re not in a position to start saving right now) you will be eligible to receive any distributions Te Rūnanga o Ngāi Tahu may decide to make to members. More information is available here. I already have a KiwiSaver account - can I still join Whai Rawa? Yes. Whai Rawa is complementary to KiwiSaver; most adult members of Whai Rawa are also in KiwiSaver. Can I transfer my balance from my KiwiSaver account into my Whai Rawa? No. Due to some of Whai Rawa’s unique benefits, it is not a registered superannuation scheme. This means funds cannot be transferred into Whai Rawa from other superannuation schemes or from KiwiSaver schemes. How can I contribute to my account? See here for the full list of ways to contribute. Can I receive all my communications via email? Yes. If we have a current and valid email address on file for you we can now send your member statement and all other communications via email. Remember to update us if your email changes. For account updates we will occasionally send you a letter copy of the communication, this is a legal requirement. Any complaint received by us will be investigated and we will take appropriate steps to try and resolve it. If after this, the complaint is not satisfactorily resolved, members are welcome to contact the Supervisor (Trustees Executors Limited) or Financial Services Complaint Limited (FSCL) our chosen dispute resolution provider. For members based in Australia, the Australian Financial Complaints Authority (AFCA) should be contacted. See all their contact details here. Can I transfer my money to another Whai Rawa member? A Member may transfer part or all of any amount in their Whai Rawa Accounts (Transferor) to any other Member (Transferee) (other than a Provisional Member). If any amount transferred is eligible for Matched Savings, the Matched Savings will be credited to the Transferor Member. The Manager may decline to register any transfer where the Member receiving the transfer is entitled to make a withdrawal or where the Manager considers the transfer is being made by a Member who may be able to apply for a withdrawal for the purpose of avoiding the restrictions on withdrawals in Whai Rawa. The Manager may impose terms and conditions on any transfer as it sees fit, subject to applicable legal restrictions. Can I transfer money from my Australian Superannuation scheme? Because of some of Whai Rawa’s unique benefits, it is not a registered New Zealand superannuation scheme. This means funds cannot be transferred into Whai Rawa from other superannuation schemes, New Zealand or overseas. If you still have questions please see How it Works or contact us directly, we’re happy to answer any pātai/questions you have.